Last week Fair Change Community Legal Clinic served the Attorney General an Application Record in support of our challenge to the constitutionality of the Safe Streets Act (SSA). The Record is over 600 pages and contains affidavits from Gerry Williams and other street-involved individuals, professors of psychology and social services, as well as from our own Executive Director Joanna Nefs. Together, the affidavits support the claims that the SSA violates the Charter rights and freedoms of panhandlers, including their freedom of expression (s.2(b)); their right to life, liberty and security of the person (s. 7); their right to be presumed innocent until proven guilty (s. 11(d)), their right not to be subjected to cruel and unusual punishment (s. 12); and their right to be free from discrimination (s. 15). Fair Change’s Constitutional Challenge has received widespread support, including from the Toronto Star Editorial Board. Read it here. Read more about the Challenge in the news here or watch Fair Change’s Chris Hummel on CityNews. Congratulations to Fair Change supervising lawyer, Jessyca Greenwood, founder & partner of Greenwood Lam LLP, for receiving Notable Life's Notable Woman Award! "When Jessyca started working in the Criminal Law field she quickly identified how the mentally ill accused were the most vulnerable in the system, and without an advocate to stand up for them their Charter protected rights and their right to participate in the process were easily trammelled." "Jessyca is committed to assisting the those with mental health issues and special needs in the justice system. She sits on a number of committees and advocacy groups dedicated to assisting these groups and supervises a pro bono law clinic committed to assisting street-involved defendants with tickets they have received as a result of pan handling and other minor provincial offences." Fair Change Influences Streamlined Ticket Appeals Process! It is with overwhelming pride that we make public today one of the biggest victories in our clinic's history. Fair Change has succeeded in fundamentally changing the administrative appellate processes applicable to appeals under the Provincial Offences Act in the City of Toronto! The importance of this cannot be overstated. Up until this point in time, an appeal from 'tickets' (e.g. for panhandling, public intoxication, etc) was extremely, prohibitively paperwork-intensive. For each offence, 3-4 administrative documents had to be completed. This meant that, until just recently, very large appeals were extraordinarily difficult (and in many cases: practically impossible) for our clinic - which is comprised entirely of volunteer law students, lawyers, and a social worker - to undertake. 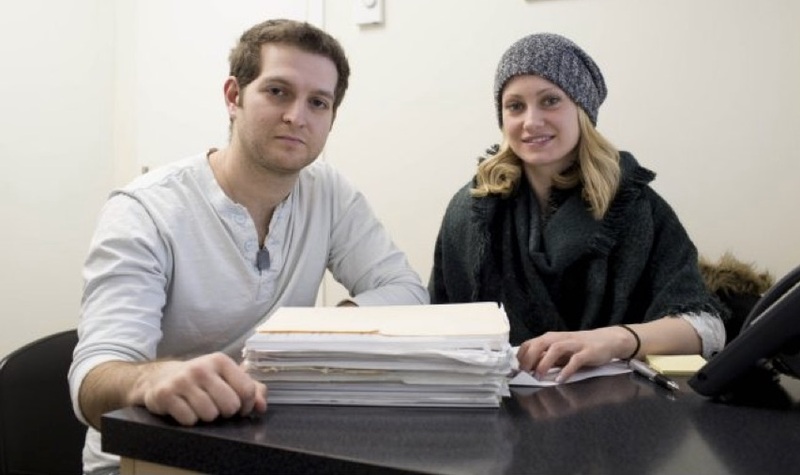 But, this year, the clinic was expanded dramatically - and a point was made to undertake a collective effort to take on the biggest appeal of our history: a client who had nearly 500 unpaid tickets, with a standing debt of over $70,000.00. Everyone pitched in - and the end result was paperwork to be submitted totaling around 2,000 pages. Accomplishing this required indescribable time and effort. Old City Hall - the Toronto courthouse where all Toronto POA appeals take place - was completely unprepared, and in fact unable, to accommodate an appeal submission of this size. It is, without question, the largest POA appeal they had ever been faced with. And they recognized their administrative processes were not properly designed to handle an appeal of this magnitude. This collective effort on the part of our clinic has resulted in Fair Change being given permission to utilize a new, simpler 'mass appeals' process - requiring almost no paperwork. One set of forms will be submitted for ALL offences appealed, along with an attached Excel spreadsheet. This means, in practical terms, that an appeal which would have formerly taken many volunteers and dozens or hundreds of hours will now only take one volunteer and several hours. This also means that this appeal is only the tip of a brand new iceberg. It means we can finally make a truly widespread impact on the massive ticket-debt(s) affecting Toronto's most vulnerable demographic: the street-involved. Despite being a ragtag troupe of volunteers, with almost no funding and even less free time, we have managed to effect a structural change in the local justice system. We want to thank all of our personnel for all of their hard work in making this happen. This is the beginning of something truly remarkable. "Why do you Volunteer at Fair Change?" A first-year advocate answers. For me, it’s about the stories of our clients. When a new client takes a seat in our office, the first thing we ask is “what happened?” Where were you and what were you doing when the police officer put that ticket in your hand? We hash out the facts from their perspective but, before long, we’re talking about their life. It starts with the basics, as I fill out the client intake form: living situation, contact info, financials, health. But more often than not, the dry rote of intake unfolds into a deeper conversation as clients open up about their day-to-day. Like most people, I’ve always had some understanding that street life is hard. I’ve read the news, heard the stats and the stories. I care about these issues and the struggles of street life and yet, too often when I’ve encountered someone living on the street, whether or not I spare some change, I’ve passed with ambivalent footsteps--- feeling some guilty blend of pity and detachment. But something different emerges when you sit down and listen to peoples' stories face-to-face: respect, even admiration, for those that wrestle with the tribulations of street life. When you let someone take the time to tell you their background, the facets of their humanity become apparent. Stereotypes and assumptions are challenged by the very presence of the individual underneath. What you learn about a person can be downright unexpected. As a law student, I was particularly surprised to meet one client who had himself been admitted to law school 30 years prior. Schizophrenia and financial struggles had later placed him—and kept him-- on the street. It quickly becomes clear that the challenges that many street-involved people have to face are monumental. Eking out a day-to-day existence can be, in itself, a major accomplishment. Affordable housing is hard to come by, let alone a job and a steady income. Shelters can be unreliable accommodation and fellow guests can be hostile. Add in the potential pitfalls of addiction and mental illness and the vicious cycle of poverty can seem inescapable. Homelessness is often a fluid state, with people oscillating on and off the streets with frustrating regularity. Our job at Fair Change is not to rescue people, but to help them confront the disheartening systemic barriers that a punitive justice system can construct for them. For many, court appearances are a humiliating and perplexing experience. By accompanying our clients to court and reaching out to prosecutors, judges, and police officers, our hope is that we can help our clients retain some dignity, eschew the arbitrary encumbrance of fines and be better equipped to confront the unique challenges in their lives. As a last word, I’ve embedded a video below made by 'Rethink Homelessness'. It demonstrates the humanity of various homeless people in Orlando by asking them to display facts about their past on cardboard signs. Check it out and appreciate that these are competent human beings that deserve, at the very least, a presumption of respect. To present practical solutions for dealing with tickets received by people who are street involved. We want all the actors, (social workers, prosecutors and police officers), to see the ticketing cycle from all angles and be able to navigate the process in a helpful way. Our Keynote speaker (Justice Richard Schneider) is going to talk about the availability of alternative solutions to tickets, and how we can use the court as a positive tool in the process. Our first panel of speakers will talk about motivations and interests. Police officers, social workers and prosecutors will describe what they want out of the process. Our second panel of speakers, a Justice of the Peace, defence counsel, social worker and police officer, will talk about practical things that can be done to break the cycle – “diverting” charges and getting people into treatment or housing instead of a fine or jail. The conference is happening the afternoon of June 29th, at Verity Club at 111D Queen Street East, Toronto from 12:30 to 4:00. How Much is the Safe Streets Act Really Costing Ontario? The Second is a Study published by professors from Guelph and York University and it can be found here: (CanISeeYourID). 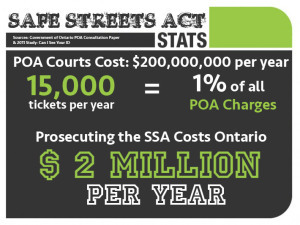 The POA Consultation Paper tells us that there are approximately 1,650,000 Provincial Offence Act Charges (POA Charges) laid per year. Thanks to the 2011 study we know that in 2011 there were 15,324 Safe Streets Act (SSA) charges laid. The study indicated that the number of SSA charges was increasing every year – but for the sake of argument lets estimate that the charges stayed steady at 2011 levels. POA Consultation Paper tells us that about one quarter of all POA Charges are laid in Toronto and that Toronto POA Court Costs about $50 million dollars per year to run. This accounts for the buildings, the prosecutors and the administration staff. If we assume that Toronto is being about as fiscally responsible as the other cities in the Province we can estimate that POA Court costs the Province of Ontario $200 million per year. MATH TIME: 1% of $200,000,000 = $2,000,000. 2 million dollars per year – and what are we getting for our money? With other POA Charges, like speeding, the cost is recouped when people pay their tickets. But SSA Tickets are Only given out to people who are on the street begging for money. The study shows that less than 1% of SSA tickets are ever paid, so almost none of that money is being recouped. Time to put an end to this wasteful law! Please sign this petition to repeal the Safe Streets Act, Ontario’s wasteful and unfair anti-panhandling legislation. We have an MPP who will present the petition to the Ontario Parliament on 17 Feb, when the Ontario Legislature resumes. We need as many signatures as we can get by then. Please share! Thanks for your support. Anti-panhandling legislation in Ontario is costly and ineffectual. These are the results of a recent study done on the Ontario Safe Streets Act (SSA). Implementing the Act has cost Ontarians close to $1 Million. The fines or jail time for panhandling are given to people who are largely homeless, mentally ill and/or suffering from addictions. The fines given out so far total over $4 million. Almost none of that money has been collected, showing that as a penalty, fines do not work on panhandlers. If panhandlers are not homeless they soon might be. The maximum penalty for panhandling is 6 months in jail. When jail over 30 days is imposed social assistance programs like ODSP and OW stop paying rent for the incarcerated person. This can lead to eviction, so when they are released panhandlers are forced back onto the street, actually increasing homelessness. Outstanding panhandling fines count against a driver’s license, so the SSA makes it harder for homeless people to find jobs, keeping them on the street longer. Fair Change Community Services is a free legal clinic that helps people to fight panhandling tickets and reduce debt from past, unpaid tickets. As a member of the Coalition to Repeal the SSA, Fair Change calls upon the Ontario Government to take action against this wasteful and hurtful legislation. The SSA creates the offence of “Soliciting on a roadway”, which carries with it a maximum penalty of 6 months in jail and $1000. Panhandlers who walk in live lanes of traffic can be a safety concern. This dangerous behaviour can be addressed by section 140(4) of the HTA which makes it an offence for a pedestrian to move into the path of a vehicle. The maximum penalty for this offence is $500, no jail time. Individual cities in Ontario also have by-laws that prohibit pedestrians from using roadways unsafely. By using these laws the dangerous behaviour can be addressed without penalizing people who are not behaving dangerously. The SSA also creates the offence of “Soliciting in an aggressive manner”. Again, aggressive behaviour can be dangerous to the public and intimidating for other pedestrians. But because of the way that the SSA is written, even if no one was actually intimidated or feeling harassed, the panhandler can still be convicted. Section 175(1) of the Criminal Code makes it an offence to impede or molest other persons in a public place. This law requires that the person charged actually offend a person. Using this law would, again, address dangerous behaviour and leave peaceful panhandlers alone. In short, the SSA creates overly broad offences that capture behaviour that is not dangerous or disruptive to others. If the SSA were repealed police could use the more narrowly focussed pieces of legislation that already exist to address problematic behaviour. Through it’s overly broad language and its disproportionately steep penalties, the SSA actually increases homelessness. SSA convictions count against a person’s driving record making it impossible for people with outstanding SSA fines to obtain a job that requires driving, or a job that is away from public transit. Additionally, if a person is housed and receiving housing assistance from the government, like disability support or Ontario Works, and they are jailed for a period longer than 30 days, that person will lose their housing funding and can be evicted. There are proven methods of combating homelessness. Programs that focus on preventing homelessness and programs that address underlying causes have been shown to reduce homelessness. Supportive housing for people with mental health issues and addiction issues is a proven way of effectively combating homelessness. By focusing on these programs communities can address panhandling effectively without using the SSA. The SSA is unnecessary and overly broad as a law enforcement tool. Repealing the SSA will not prevent communities from using more appropriate and focused laws to combat dangerous or intimidating behaviour. SSA convictions limit employment opportunities and can cause the loss of housing. Both of which increase homelessness. Repealing the act will remove the negative side effects of SSA convictions and will help to abbreviate or prevent homelessness. This Christmas you can help the homeless and save Ontario money by encouraging your MPP to repeal the Ontario Safe Streets Act. I am writing to urge you to repeal the Safe Streets Act, 1999. The law is a waste of police time and budgets, as the tickets issued cannot be paid by the indigent who are ticketed. Thousands of hours are spent each year by police issuing these tickets, yet less than 1% get paid. The people getting ticketed are typically mentally ill, addicted, impoverished, and homeless: i.e., incapable of paying expensive fines. Often they accumulate thousands of dollars of outstanding fines, so some actually go to jail, simply because they are unwell. For those capable of getting better, the spectre of these outstanding fines is a major barrier to re-entering the workplace, and otherwise working their way out of poverty. The Safe Streets Act, 1999, in short, has ended up criminalizing poverty and pain. Please do all you can to repeal the Safe Streets Act, 1999, by (a) introducing a private member’s bill; (b) supporting such a bill; (c) urging the Government to repeal the bill via caucus meeting, Question Period, Statements and Petitions; and (d) speaking directly to the Premier and Attorney-General in the legislature. The Safe Streets Act is Ontario’s Anti-Panhandling Legislation, but it’s not doing it’s job. 1. Convictions for panhandling count against your driving record so the Act makes it harder for homeless people to find jobs, keeping them on the street longer. 2. The fines imposed for panhandling are almost never collected, but taxpayers are still paying for the courtroom, the Justice of the peace, the testifying police officer and the prosecutor to have the fines imposed. 3. When jail is imposed for panhandling people can lose the housing they do have and be forced back onto the street, actually increasing homelessness. 4. After 15 years the Act has failed to decrease panhandling or squeegeeing. More tickets are being given out every year. This is a bad piece of legislation and it should be repealed. 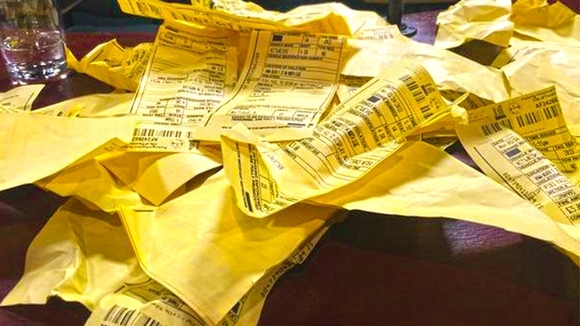 Street Tickets 101 - What is a Provincial Offense? Sometimes it is hard to understand the rules and procedures that go along with street tickets. In this post we will talk about the basics. What is a Provincial Offence and how is it different than a Criminal Offence? In Canada the Federal Government controls the Criminal Law but the Provinces have control over other things like hospitals, roads and driving licenses. That’s why it’s called your Ontario Driver’s License, or your Ontario Health Card and not your Canadian Health Card. The Provinces are allowed to make regulations about the areas that they control. These regulations are called Provincial, because they are made and enforced by the Province, not the federal government. Provincial offences are generally considered less serious than criminal offences. Assault is a common example of a criminal offence. Speeding is a common example of a Provincial offence. Even though Provincial offences are usually considered less serious, the penalty for some provincial offences can be just as high or even higher than some criminal offences. The Ontario Safe Streets Act is a set of Provincial laws. This act makes it illegal to “Solicit in an aggressive manner” or to “Solicit on a roadway”. Student Advocates from Fair Change Community Services can help you for free if you have been charged with any offense found in the Ontario Safe Streets Act.